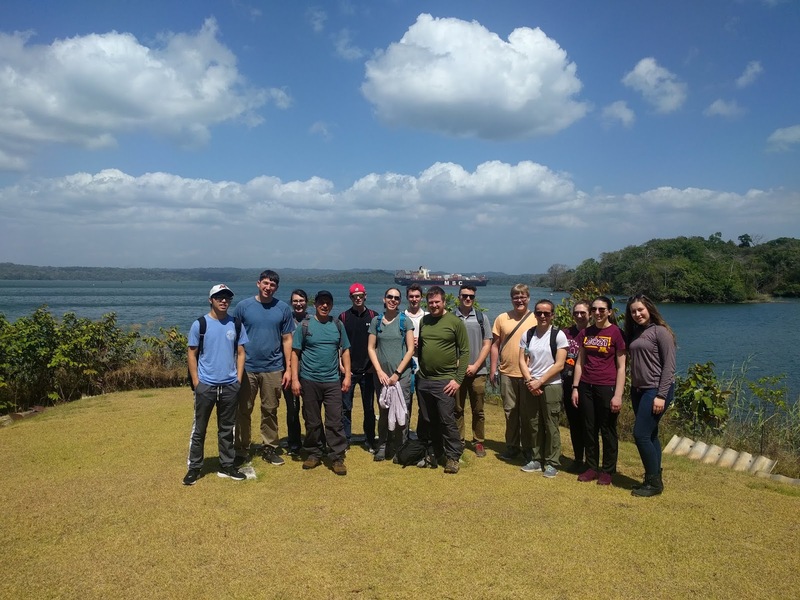 Today we went out to the Smithsonian Barro Colorado Island, where we got a chance to see some amazing animals in a protected habitat and speak firsthand to researchers about their work. 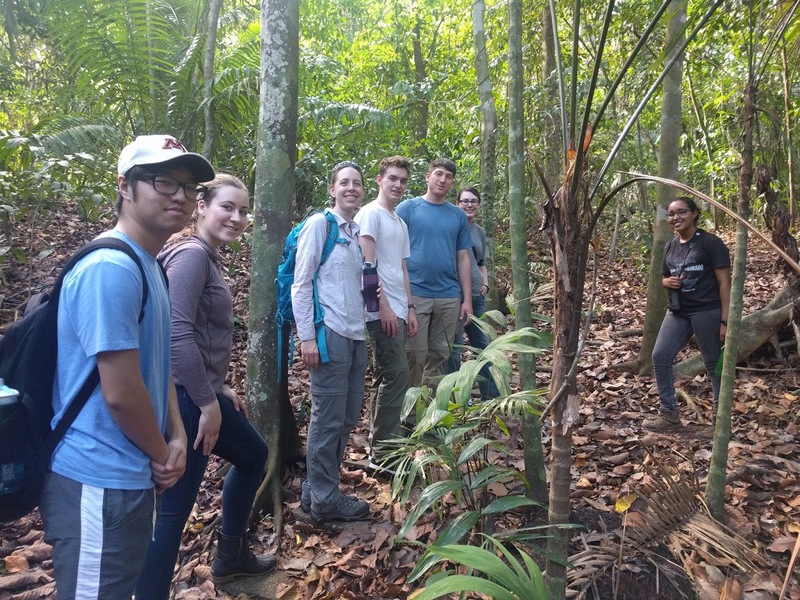 The group went out onto the island with one of the researchers, and learned about the ecology of the island, how the recent drought is affecting it, and some of the common plants like this "beer belly tree". 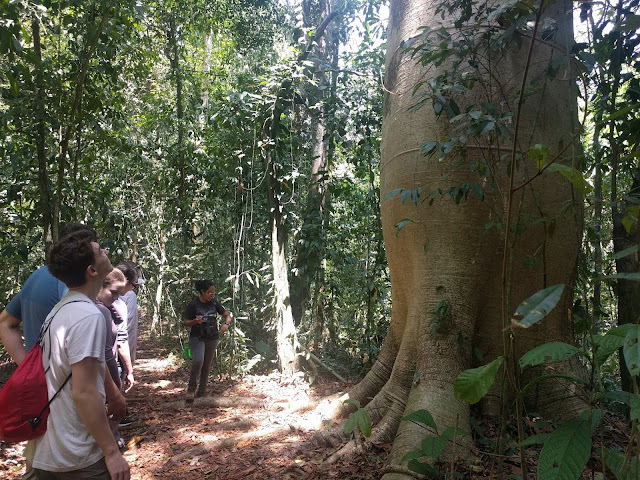 We also saw a lot of really cool animals, like owler monkeys, hummingbirds feeding their young, army ants on a raid, leaf cutter ants bringing leaves home, bats sleeping in a tree trunk, and a crocodile with her nest. We also got to learn a lot about the complex relationship between fig trees and fig wasps since that was the research area of our nature guide. 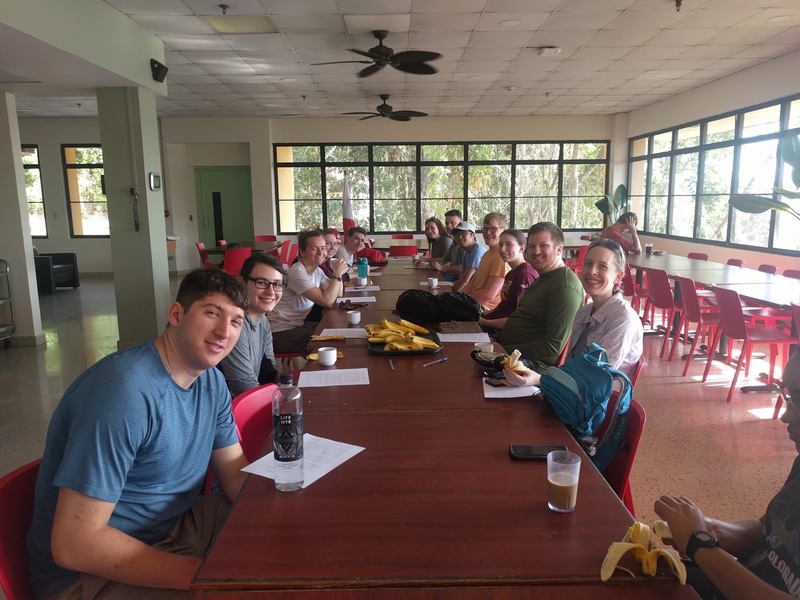 Once we returned back to the city of knowledge, we finally dug out our equipment and fired it all up to be ready for the final leg of our journey to Bocas Del Toro!